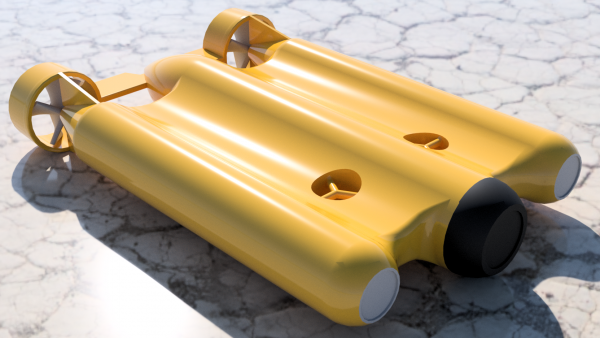 Underwater Drone Display Piece (Gladius Style) #3DThursday #3DPrinting « Adafruit Industries – Makers, hackers, artists, designers and engineers! I made this for a friend who wanted a small model of his Gladius underwater drone as a display piece. It is not 100% accurate and will not function as a remote model. It prints really nicely stood on its rear end with supports touching build plate at least. No infringement of IP is intended. It is a fan piece created solely for display purpose.